Last weekend, Kenya witnessed a birth of a new modelling agency, City Models Africa (CMA) at a colourful event sponsored by CIROC Ultra Premium Vodka that was held at the French Embassy’s Residence. 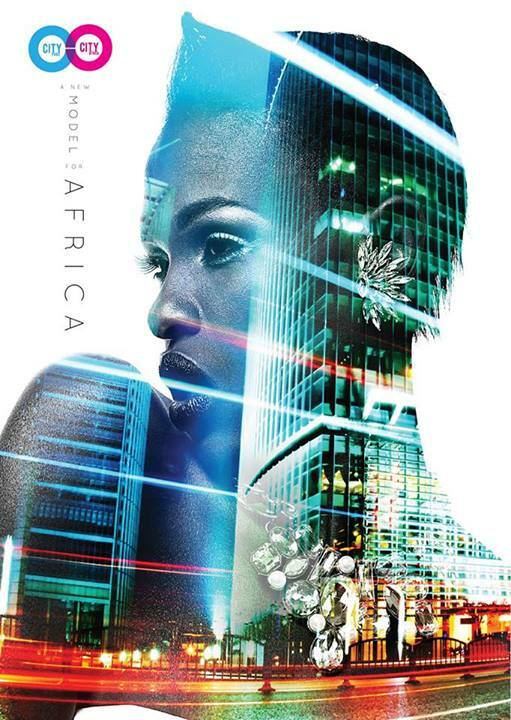 City Models Africa will be represented by Kenya’s Supermodel Ajuma Nasenyana. 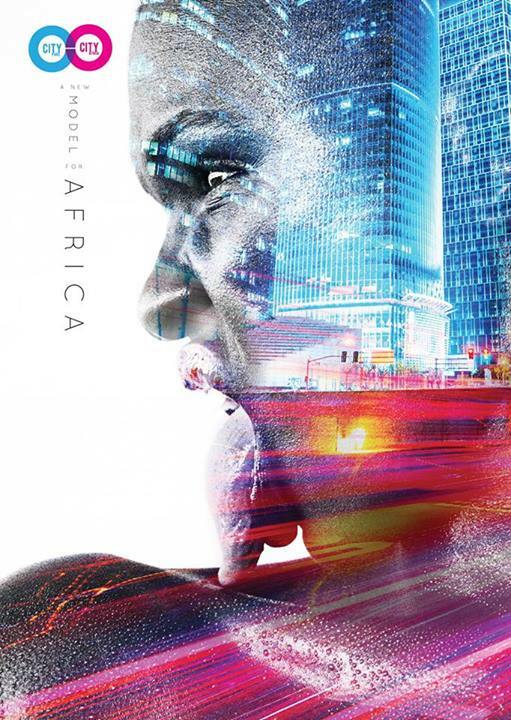 Through City Models Africa, Ajuma and City aim to establish world-class model casting practices and talent management discipline across East Africa. replay254 : You have been in the modelling industry for close to a decade now, what does a normal day look like for you now that things are subsiding a little bit? Ajuma: Subsiding? Things have become more hectic now that I am running the business side of things, it’s become more of an every day job because it’s my company and I have to make sure it’s working. It’s become a full-time job. I’m now taking care of the models and worrying about them while in the past someone was taking care of me and I didn’t have to worry about anything. replay254: You are in the early stages of developing a modelling agency company, City Models Africa. Tell me about that. 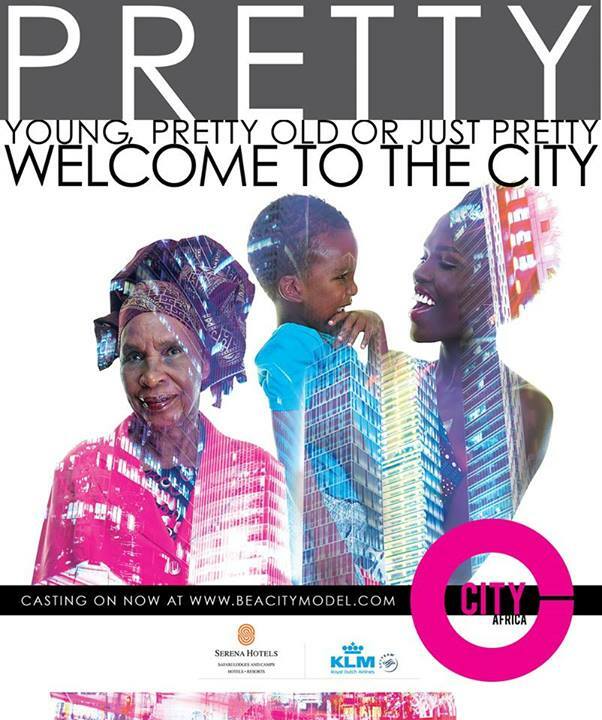 Ajuma: City Models Africa is a venture between The Creative Group here in Kenya by Andrew White and City Models Paris, which is our international link. 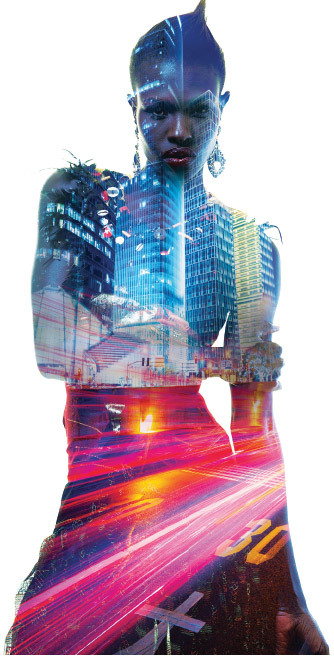 We are coming together to pave way for local talent and help models break out internationally. We are just giving them a route to the world — so whoever is here and has that potential, there is a way for them to easily get out now. replay254: What are you looking for exactly? 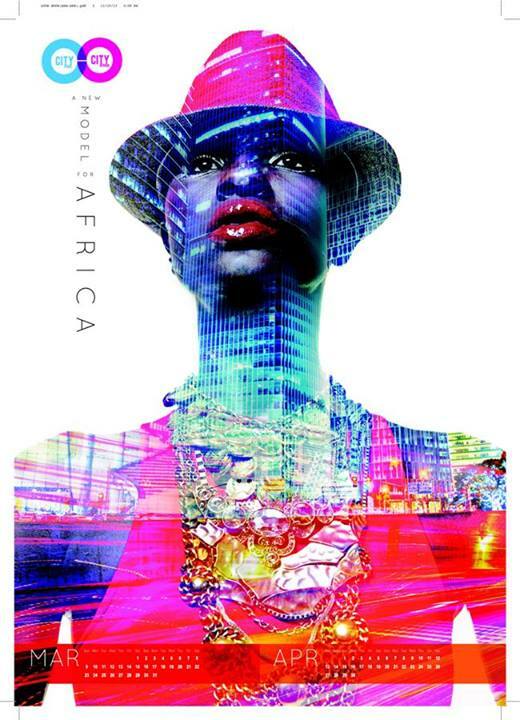 Ajuma: We are going to be looking for slim, tall, models with nice bone structure and of all races within Africa. replay254: Will you be personally doing the scouting? Ajuma: Yes, especially for the high fashion, I’ll be travelling around a lot. There are one or two models with the potential here in Nairobi that I am going to be looking at and trying to develop and see what we can get out of them. replay254: What are your aspirations for City Models Africa? Ajuma: We want to be the number one supplier of African models to the world. Whoever needs African models comes straight to us. replay254: You have had the opportunity to work with famous designers like Vivienne Westwood. Who are your favourite designers? 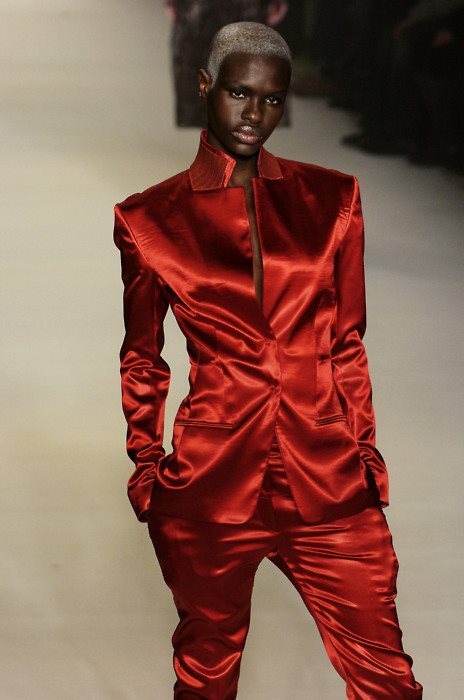 Ajuma: Of course Vivienne Westwood. I also like Ferragamo because he has wearable clothes. They are all great designers and I’m so honoured to be at that level where I can actually associate myself with them. replay254: The modelling industry has been associated with harsh and extreme methods of weight loss, sometimes leading to eating disorders in order to maintain a certain required size. Has it ever got that bad for you? Ajuma: No. So far I’ve been lucky because I have been eating whatever I want and I still stay the same. But I’m growing older now and I have to hit the gym and practice good nutrition and healthy ways to stay slim. replay254: So you do not advocate for stick thin models? Ajuma: I would take a naturally slim model, but I would definitely not if I found out she was doing crazy things to stay thin. replay254: Would you go for a plus size model? Ajuma: Yeah, we are also doing kids, actors and teens, male and female models. replay254: You have openly spoken against skin lightening and the desire for some dark skinned women to bleach. Let’s talk about that. Ajuma: I’m not telling people to stop bleaching their skin; who am I to tell people to stop? All I’m trying to do is empower the younger generation to feel comfortable in their skin. They actually have a choice, which is to stay the way they are. Kenyans come in different shades and we need to embrace ourselves. It is just a bad trend that needs to be broken. replay254: You have managed to stay afloat and on top of your game in your career. How have you managed that and what is your work ethic like? Ajuma: Staying true to myself, staying focused and not getting derailed by all the flashy stuff or getting swallowed by all the hype that comes with getting dressed by famous designers and looking good. People think you live like that everyday, but that is just my job. The reason I look like that is because there is a team of people that make me look like that. In Europe it’s fine because that’s what models do since they are working. When I’m home in my T-shirt and jeans people think I should be more glamorous than that. But I don’t go around looking glamorous all the time. replay254: You have shared a runway with supermodels like Naomi Campbell and Alek Wek. Who is the one model that you met and had a jaw dropping moment? Ajuma: Of course it was Naomi. She was finally in front of me and I was like wow! Then, I didn’t know who Christian Dior was, but I knew Naomi. I knew if Naomi was there then it had to be a good show. replay254: Who is your favourite all time model? Ajuma: There are so many. All the models are so beautiful; that’s the thing, you know. I look at them in different ways because they are my friends so I can’t really say. They are all wonderful. replay254: While some models struggle to get signed to agencies, you have been lucky to work in different countries like Canada, Australia and Sweden throughout your career. What do you credit that to? Ajuma: My team. That’s one thing I need to tell models — you really need to establish a relationship with your agency and bookers and learn to trust them. I stick to one agency and I have a good relationship with them and they are always backing me, making sure I am fine. And it’s not just about work; they’ll be checking up on my family life and taking care of me in different avenues. replay254: Do you think models, especially in Kenya, can now go into modelling as a full-time career without it being a side gig? Ajuma: Now that we have come here it’ll come to fruition because whoever we will take outside the country is going to be working full-time. They will be going to earn money from modelling. Currently there’s not so much going on in Kenya when it comes to jobs in advertising for models. Clients like to use a face once while outside the country the more famous you are the more people want to use your face. We are going to create that for the models. It has happened to me and I believe it can happen to somebody else. replay254: Did you ever have to deal with rejection when starting out? Ajuma: Of course, a lot. It’s fun (laughs); it’s part of my job description. There’s more rejection than yeses. But there’s so much out there, you will always get something. I was in good hands though because I knew there would be another client, another job. replay254: Has modelling hardened you? Ajuma: Yes, I’ve got a lot of experience, exposure and I’m ready to give it to somebody else. I have a lot of knowledge in the industry to start mentoring and tutoring the new upcoming generation of models. replay254: Outside of your team, what kept you going? Ajuma: My family. Africans have very close knit families and I am still a baby to them even though I’m in my late 20s. You can always go and cry to your mama. In New York when it got chaotic I just came straight to Lodwar (in Turkana County). I felt like people in New York did not understand what I have. I felt it was so precious because I could get up and go to a different place where it is quiet and I don’t know what time or day it is. I would just be sitting under a tree with my grandma listening to goats bleating. replay254: If you had the chance to go back and tell your younger self something that you know now that you didn’t then, what would it be? Ajuma: Manage your money well. A model will get into the industry and make a lot of money, not know what to do with it and end up blowing it. But at that time you are not thinking about the future because you are at that young age where you don’t think about such things. I think I would have managed my money better. replay254: You grew your hair out, why the change? And have you ever done weaves? Ajuma: Right now my hair is being held hostage (laughs). I have a job that I started out with this hair so I can’t cut my hair until I finish that job. Weaves never grew on me. At Victoria Secrets for example, there was so much craziness about getting me hair because they don’t use models without hair. They measured my head and had a custom weave. When I got in the line up just before starting the show the designer said “what is that she has on her head? Can you take that off?” They took it off and pushed me to the runway. replay254: What is the one bad habit that you have? Ajuma: I bite my nails. replay254: Which is the most gruelling photo shoot you have ever done? Ajuma: ‘Dazed and Confused’. We shot until three in the morning from 9pm; they just couldn’t get the picture. Sometime you just get into a shoot and everything is just wrong and you have a bad day. But you have to stay there until they get the picture. replay254: How would you sum up your career in three words? Ajuma: Staying true to myself.